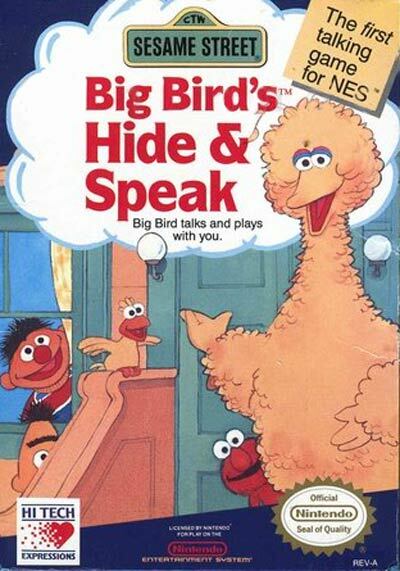 Sesame Street: Big Bird's Hide and Speak is a game for the NES. It was one of the simplest-to-play NES games ever released commercially. This game stars Big Bird and co-stars Little Bird, and features Bert, Ernie, Count, Grover, and Elmo. All 4 sides of the +Control Pad move little bird to the next window clockwise; A and B Buttons both choose a window. The center buttons (Start and Select) exit to the game select screen.